Luxury homes need to be cleaned, repainted and update as time and budget allow in order to get the maximum value out of the home. Luxury homebuyers today rarely come in looking for a project home unless a steep discount is involved. As a result updates should be made so that old out of style wallpaper is removed and fresh neutral in color paint is put up in order to boost the appeal of the home. If appliances or fixtures are in need of updating, premium appliances and fixtures should be used so that the luxury appeal of a home is not lost on the inside. While the expense associated with premium fixtures and appliances can be a stumbling block the lack of those premium appliances will not sit well with luxury homebuyers who are looking to spend a considerable amount on a luxury home. Anything minor that takes the shine off of a luxury home will result in the home sitting on the market for too long and possibly being forced to drop the price at much steeper increments in order to attract buyer attention. Proper home pricing can take care of many issues but by having a home in tip top shape luxury home sellers can help themselves get more money for the home rather than less. Showings are a critical part of the home selling process. During showings buyers along with their agents will come and tour a home in person in order to see if they like it. Setting the stage (as noted above) for great pictures to be taken causes the buyer to want to visit in person to explore further what the home has to offer. As a result the staging done in preparation for selling needs to be maintained while a home is on the market up until acceptance of an offer. Even after acceptance of an offer and prior to closing it is still recommended to keep the home ready to be viewed as home inspections and appraisals will be conducted and easier access to the home by appraisers and home inspectors is appreciated. Some luxury homeowners may choose to restrict showings only to those homebuyers who have been pre-approved with a mortgage. While it is prudent for homebuyers to get pre-approved prior to even viewing their first home that does not mean all do and it does not mean that all who don’t get pre-approved won’t be able to buy the home they want to see As a result it is more incumbent upon the real estate agents who bring the buyers through to either get their client pre-approved for a mortgage to buy the home or to verify their buyer’s ability to buy the home. A home seller restricting home showings to only pre-approved buyers could result in the buyer who could afford the home being denied a showing simply because that are not currently pre-approved. That buyer may never come back and have the chance to fall in love with a home and they certainly will not make an offer if they have not seen the home in person. As a result it is recommended that home sellers not restrict showing their home to just those who have been pre-approved and instead should know many real estate agents don’t want to waste their own time showing homes to those who cannot afford them since they will only get paid when their buyer actually closes on a home purchase. A majority of home showings are done where the homebuyers and just their real estate agent tour a home for sale without the seller or the seller’s real estate agent being present. An accompanied showing is where the seller’s real estate agent will also attend any showing with a buyer and their client. Sometimes accompanied showings are done so the seller’s real estate agent can market the home to buyer in person by telling about some features that the buyer’s agent might not be able to learn about from the information they have. Luxury homeowners may prefer accompanied showings for security purposes due to the high value of the home and due to the high value of items within the home (expensive art, collectibles, cars and more). While it is best for luxury homeowners to remove expensive art pieces, secure jewelry and other high value items somewhere else, that is on sale that is not always possible. As a result an accompanied showing will allow the seller’s own real estate agent to keep an eye out while homebuyers are touring through the home with their agent and make sure the home is locked up afterwards. Requiring accompanied home showings and requiring a pre-approval of every homebuyer who wants to see a home makes sense where the home is owned by a known celebrity. Local sports stars, movie stars, singers and other celebrities living in a luxury home will want both accompanied home showings and pre-approval proof in order to avoid showing their home to only those interested in seeing how the celebrity lives and have no intent of ever buying it. While it may limit some serious homebuyers, due to the higher exposure involved with celebrities the stricter requirements will discourage those who just want to see a home just because their favorite celebrity lives there. With the advancements in technology on the Internet many homes can be shown off online with high definition pictures, videos and now even with virtual reality that makes it seem like you are walking through the home via high tech goggles. Where in the past a home could be shown off only with decent photographs and thus required an in person visit or a number of open houses to let interested buyers see the home in person, this is not so much the case today. Today open houses are more about a real estate agent generating more business from buyers and possibly neighborhood sellers who are more curious about the home but less likely to buy it. In fact open houses account for less than 5% of homes sold today on the market. Especially so with luxury homes the need for an open house is not necessary. An open house that invites in the general public is more likely to only get people who are interested in seeing how a luxury home compares to their own home and will have little interest in buying it for themselves. The luxury home instead becomes a tourist attraction where the home as well as everything inside is open for display. Some unscrupulous individuals may even use it as an opportunity to take things that do not belong to them simply because they have access and no one is around to keep an eye on everything. A broker open house on the other hand may be a valuable tool since only real estate brokers and their agents are invited to tour the home. While there will be agents who are there for curiosity purposes there will be agents in attendance who may have a buyer who might like the luxury home and a showing appointment could happen as a result. On the other hand if a Realtor properly markets the luxury home through the use of high definition photographs and videos as well as aerial (drone) photographs and videos the home will be easily discovered by interested buyers online without the need for any open houses. 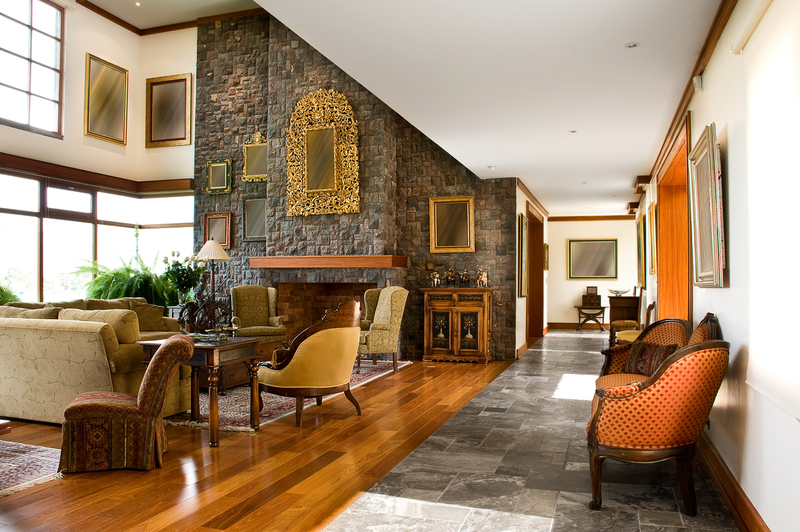 Due to the nature of a luxury home the approach to selling it is a bit different than other homes. 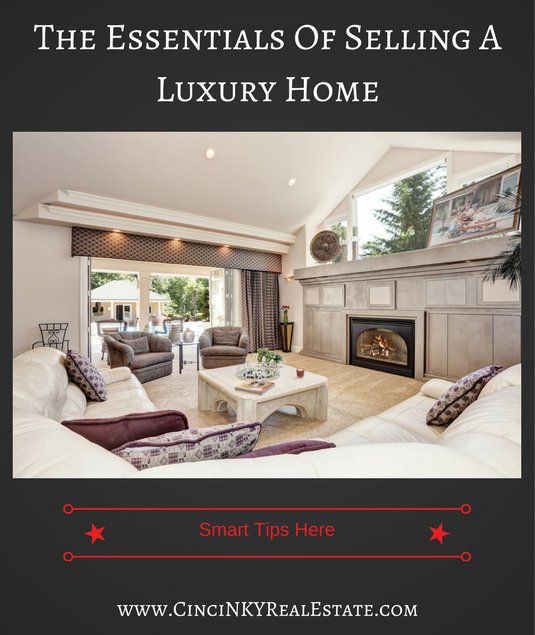 Open houses are absolutely not necessary for a luxury home and generally should be avoided. Luxury homeowners may wish to consider accompanied showings if they cannot fully move or secure their belongings and their Realtor should be ready to help with that.